Today’s card is an anniversary card that I made for my mum and step dad. 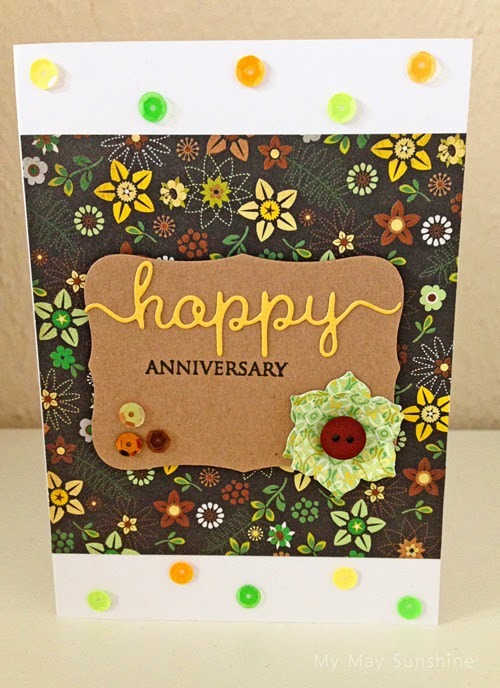 I cannot seem to stop using the Clearly Besotted happy die on my cards and I used it again on this card. I used some papers from the Basic Grey Origins paper pad for the background and to make the flower. I had seen Amy Wanford make a flower from one of the dies in the Clearly Besotted Pretty Petals Plus die set and thought I would make one to go on this card. As the background paper is very patterned I just went with some sequins for the embellishments and matched them to the papers. 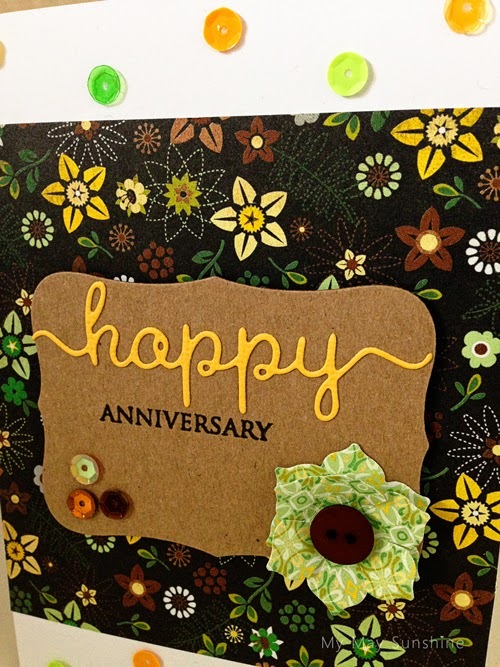 Papers – Basic Grey Origins | Stamp – Hero Arts All Occasions | Dies – Clearly Besotted Happy and Pretty Petals Plus and Spellbinders Nestabilities label 8 | Button – American Crafts | Sequins – Doodlebug.